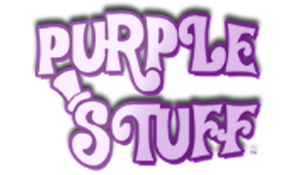 The content available through the Site is the sole property of MYPURPLESTUFF.COM or its advertisers, suppliers or licensors. All material published on our sites, including, but not limited to, written content, photographs, graphics, images, illustrations, marks, logos, sound or video clips, and Flash animation, are protected by patent, copyright, trademark and other intellectual property laws. Except as otherwise explicitly agreed in writing, MYPURPLESTUFF.COM-owned content received through the Site may be downloaded, displayed, reformatted and printed for your personal, non-commercial use only. 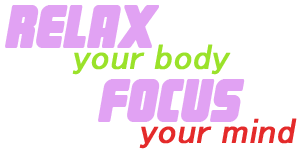 Content owned by MYPURPLESTUFF.COM advertisers, suppliers or licensors may be subject to additional restrictions. You agree not to modify, reproduce, retransmit, distribute, disseminate, sell, publish, create derivative works of, broadcast, circulate or in any way exploit any of the materials or content received through the Site to anyone without MYPURPLESTUFF.COM's express prior written consent. I am of legal age to view material discussed above, in accordance with the laws of the region in which I reside. Any material that I am viewing is exclusively for my own personal use and I will not give, sell or otherwise provide any of it to anyone else. I believe I have the unalienable right to read and/or view any type of material I choose. I am aware of the standards of my local community with respect to the materials offered on this Site; I am familiar with the materials offered by this Site; and I represent, warrant and certify that the links, information, and use of materials on this Site do not violate any standard or law that applies to me. In the event that a law that applies to me comes in to affect that would prevent me from viewing material on this Site, I agree to no longer access this Site. I recognize that this Site has no control over the content of websites which are listed or linked on it and that it takes no responsibility for the content of those other sites. 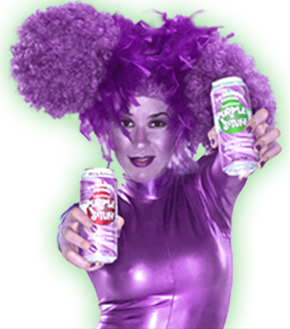 By viewing and/or using this Site, you agree that MYPURPLESTUFF.COM will not be liable for any commercial loss; inconvenience; loss of use, time, data, goodwill, revenues, profits, or savings; or any other special, incidental, indirect, or consequential damages in any way related to or arising from your use of this Site and/or Services. You agree to defend, indemnify and hold harmless MYPURPLESTUFF.COM, its employees, directors, shareholders, members, officers, agents, subsidiaries and affiliates from any and all claims, losses, damages, causes of action, liabilities and expenses (including reasonable attorneys' fees) related to or arising out of your use of the Site and/or Services, including without limitation claims made by third parties related to your use of the Site and/or Services. WE AND OUR ADVERTISERS, SUPPLIERS AND LICENSORS PROVIDE THE MYPURPLESTUFF.COM SITE AND SERVICES ON AN "AS IS" AND "AS PROVIDED" BASIS, WITHOUT ANY WARRANTY OR CONDITION OF ANY KIND, EXPRESS OR IMPLIED, AND SPECIFICALLY DISCLAIM ANY IMPLIED WARRANTIES OF NON-INFRINGEMENT, TITLE, MERCHANTABILITY, FITNESS FOR A PARTICULAR PURPOSE AND AVAILABILITY OF THE SITE OR SERVICES. SOME STATES DO NOT ALLOW THE DISCLAIMER OF IMPLIED WARRANTIES, SO THE FOREGOING DISCLAIMER MAY NOT APPLY TO YOU. MYPURPLESTUFF.COM MAKES NO REPRESENTATION THAT THE SITE AND/OR SERVICES WILL BE UNINTERRUPTED OR ERROR, BUG OR VIRUS FREE AND SHALL NOT BE HELD RESPONSIBLE IN ANY WAY OR BY ANY MEANS, EITHER DIRECTLY OR INDIRECTLY, FOR ANY COMMUNICATIONS DIFFICULTIES, ACESS DELAYS, ANY INTERRUPTION AND/OR DATA DELIVERY, NON-DELIVERY, MIS-DELIVERY, CORRUPTION, DESTRUCTION, OR EVENTS BEYOND OUR REASONABLE CONTROL. WITHOUT LIMITING THE FOREGOING, MYPURPLESTUFF.COM SHALL NOT BE LIABLE TO YOU OR YOUR BUSINESS FOR ANY INDIRECT, INCIDENTAL, CONSEQUENTIAL, EXEMPLARY, SPECIAL, OR PUNITIVE DAMAGES OR LOST OR IMPUTED PROFITS OR ROYALTIES ARISING OUT OF YOUR USE OF THIS SITE OR ANY GOODS OR SERVICES PROVIDED, WHETHER FOR BREACH OF WARRANTY OR ANY OBLIGATION ARISING THEREFROM OR OTHERWISE, WHETHER LIABILITY IS ASSERTED IN CONTRACT OR TORT (INCLUDING NEGLIGENCE AND STRICT PRODUCT LIABILITY) AND IRRESPECTIVE OF WHETHER YOU HAVE BEEN ADVISED OF THE POSSIBILITY OF ANY SUCH LOSS OR DAMAGE. YOU HEREBY WAIVE ANY CLAIM THAT THESE EXCLUSIONS DEPRIVE YOU OF AN ADEQUATE REMEDY. TO THE MAXIMUM EXTENT PERMITTED BY LAW, IN NO EVENT SHALL OUR LIABILITY EXCEED ONE HUNDRED U.S. DOLLARS ($100). YOU ACKNOWLEDGE THAT THIRD PARTY PRODUCT AND SERVICE PROVIDERS MAY ADVERTISE THEIR PRODUCTS AND SERVICES ON THE MYPURPLESTUFF.COM SITE AND THAT MYPURPLESTUFF.COM MAY FORM PARTNERSHIPS OR ALLIANCES WITH SOME OF THESE VENDORS FROM TIME TO TIME IN ORDER TO FACILITATE THE PROVISION OF THESE PRODUCTS AND SERVICES TO YOU. HOWEVER, YOU ACKNOWLEDGE AND AGREE THAT AT NO TIME IS MYPURPLESTUFF.COM MAKING ANY REPRESENTATION OR WARRANTY REGARDING ANY THIRD PARTY'S PRODUCTS OR SERVICES, NOR WILL MYPURPLESTUFF.COM BE LIABLE TO YOU OR ANY THIRD PARTY FOR ANY CLAIMS ARISING FROM OR IN CONNECTION WITH SUCH THIRD PARTY PRODUCTS AND SERVICES. YOU HEREBY DISCLAIM AND WAIVE ANY RIGHTS AND CLAIMS YOU MAY HAVE AGAINST MYPURPLESTUFF.COM WITH RESPECT TO THIRD PARTY PRODUCTS AND SERVICES, TO THE MAXIMUM EXTENT PERMITTED BY LAW. Use of our Site is subject to existing laws and legal process. Nothing contained in these Terms shall limit our right to comply with governmental, court, and law-enforcement requests or requirements relating to your use of our sites. You agree that regardless of any statute or law to the contrary, any claim or cause of action arising out of or related to use of our Site, Services or these Terms must be filed within one (1) year after such claim or cause of action arose or be forever barred. These Terms shall be construed in accordance with the laws of the State of Texas, and the parties irrevocably consent to bring any action to enforce these Terms before a court of competent jurisdiction in Harris County, Texas (State), or if such jurisdiction is not available, then in a Federal Court in the Texas Southern District Court of Texas (State).